Wow. A lot of ground to cover today. Please note also that this is generally limited to Tuesday's polling; I'll cover today's polling in a post going up tomorrow morning. Delaware -- Obviously the big news is the Delaware Senate race; I delved into this poll in more detail here. North Carolina -- A few weeks ago I noted that Richard Burr was polling substantially worse than we might expect in this cycle, but I also noted that he kept an unusually low profile for a senator and was just gearing up with his ad buy. That buy started last week, and the polls are already looking a bit brighter for him. SurveyUSA finds that Burr leads Elaine Marshall 58 percent to 34 percent, a 24-point margin. Ah yes, you say, didn't SurveyUSA show Dole up by 20 points in September of 2008? This is true. But Dole probably was up big in September of 2008 -- that was before the economy blew up and she voted to bailout the banks, which probably isn't that popular in North Carolina outside of Charlotte. For now, what we're seeing is heavy movement of undecideds toward Burr in the last two polls, rather than movement against Marshall. Given what Burr's been up to, that narrative is probably the closest to reality. Burr leads by 13 in the RCP Average. Florida -- Marco Rubio continues to break away in this race. FoxNews employs the new Rasmussen "Pulse" software, which allows users essentially to use Rasmussen's robopollster to commission their own polls. This poll, taken of 1,000 likely voters, finds Marco Rubio leading Charlie Crist and Kendrick Meek 43 percent to 27 percent (Crist) to 21 percent (Meek). Only 37 percent of Florida voters approve of the job that Barack Obama is doing, 54 percent favor repealing the health care law, and 57 percent believe the President does not deserve to be re-elected. Crist's problem is that he's being forced to take positions that are increasingly in line with the national Democratic Party's view of things, at a time when the national Democratic Party is unpopular. Rubio leads by 10 in the RCP Average. Nevada -- Now that Delaware has basically become a lost cause, the GOP has to either run the table in Nevada, Washington, Wisconsin and California, or add Connecticut and West Virginia to the list of tossups, if it is to take control of the Senate. That's a tough order. Three pollsters weighed in on the Nevada Senate race, and all three found essentially the same result. Rasmussen Reports finds a 48 percent to 48 percent tie. Both candidates are heavily disliked by the electorate, with 44 percent having a strongly unfavorable view of Reid and 46 percent having a strongly unfavorable view of Angle. The President has a 46 percent approval rating here, according to Rasmussen Reports, so it is probably candidate issues that are keeping Republicans from putting the race away. Reuters/Ipsos finds Reid leading 46 percent to 44 percent -- the same numbers Mason-Dixon found recently. FoxNews/Pulse finds Angle leading by a point. Interestingly, they included a "none of the above" option. I've long wondered if, contra the conventional wisdom, the "none of these candidates" option doesn't hurt Reid more than Angle, now that she is at least as radioactive as him, if not more so. This sample finds 42 percent of the voters approving of the President, so this might just be a more heavily Republican sampling. Reid leads by 1.4 points in the RCP Average. Washington -- The Elway poll is a respected Washington institution, so we don't want to dump on it too hard. But its result, Patty Murray leading Dino Rossi 50-41 is pretty far outside of what other pollsters are showing. We recall that in 2008, the July Elway had Governor Christine Gregoire up by 16 on Rossi (Survey USA and Rasmussen were showing three and four point races) and had her up 12 in October (SUSA=2, Ras=2). Their Presidential polling, however, was pretty good. Make of it what you will, but Rossi still leads by 0.4 in the RCP Average. California -- The FoxNews/Pulse poll shows what pretty much everyone else is showing: a narrow Boxer lead, with Boxer under 50 percent. The President has a tepid 48/44 approval rating, and the senator is upside-down at 42/50. A plurality of voters favor repealing the health care law. Boxer is clearly vulnerable, and the environment is right to topple her. But she still holds on to a 1.4 point lead in the RCP Average. Connecticut -- Quinnipiac weighed in with a poll of likely voters showing Richard Blumenthal up 51 percent to 45 percent. Some will interpret this as movement toward Republican Linda McMahon, given that the last poll showed a 10 point lead for Blumenthal, but this probably just represents a shift from a registered to likely voter model. This is consistent with the Rasmussen Report polling that seemed to show the race stablizing. Blumenthal leads by 7.5 points in the RCP Average. (The DSCC distributed a Hamilton poll showing a 54/39 Blumenthal lead; if you assume that shows Blumenthal at the high end of the error margin, then it is consistent with Quinnipiac and Rasmussen). Kentucky -- Not all tea party candidates are created equally, and neither are all states. 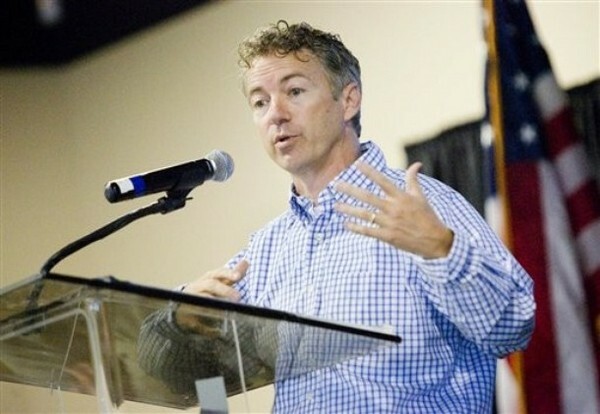 Rand Paul has made more than his fair share of missteps this cycle, yet according to PPP (D), he still leads Attorney General Jack Conway by a 49 to 42 percent margin. 37 percent of voters in the state approve of the job President Obama is doing in the state, including a 29 percent rating in historically Democratic eastern Kentucky. This goes a long way toward explaining how Rand Paul can lead with approval ratings that are only marginally better than Conway's. Paul leads by 8.4 poins in the RCP Average. Ohio -- A pair of polls in the Buckeye state show Rob Portman with a lead over Lee Fisher. Rasmussen Reports shows him leading 49 percent to 41 percent, while FoxNews shows a 48/41 split. A near-majority of voters strongly disapprove of the job that the President is doing, which goes a long way toward explaining why Fisher trails by 8.8 points in the RCP Average. Pennsylvania -- In the Senate race, FoxNews/Pulse shows Pat Toomey continuing to hold a 47/41 lead over Congressman Joe Sestak. Seven polls were taken in August/September and they all show a Toomey lead in the six to 10 point range. Toomey leads by nine points in the RCP Average. Vermont -- Yeah, we're hitting all of the obscure ones today. Pat Leahy may well end up being the only Democrat this cycle to win with more than 60 percent of the vote. According to Rasmussen Reports, he leads lumber store owner Len Britton by a 62 percent to 32 percent margin. Still, that would represent the worst showing for Leahy since 1992, when now-Governor Jim Douglas held him to 54 percent of the vote. Florida -- In the big news, while FoxNews shows a big bump for Marco Rubio, it doesn't show the same result for Rick Scott, who continues to trail Democratic State CFO Alex Sink by a 49-41 margin. Scott needs to start solidifying his base soon, as the clock is starting to tick on making up a margin of that size. California -- Meg Whitman is opening a lead in California over former Governor Edmund G. "Jerry" Brown. She leads 49 percent to 43 percent in the FoxNews poll. For a universally-known figure, it is increasingly difficult to see how Brown pulls this off, barring some startling revelation or gaffe on Whitman's part. Brown trails by five in the RCP Average. Nevada -- One place where a primary challenge proved beneficial to the GOP is Nevada, where judge Brian Sandoval successfully knocked off governor Jim Gibbons. Sandoval now faces off against Rory Reid. The only debate is whether Sandoval's lead is big or gigantic. Reuters/Ipsos weighs in with a poll showing Sandoval leading Reid by 29 points; 60 to 31. FoxNews finds a smaller, but still substantial, 56 to 38 percent lead. Sandoval leads by 21 points in the RCP Average. Colorado -- Just in case you needed reminding, GOP implosions aren't limited to the Delaware Senate race. In Colorado, Governor Bill Ritter, who decided not to seek re-election, is kicking himself. After frontrunner Scott McInnis flamed out over a plagiarism scandal, Tom Tancredo got into the race as an independent. In the new poll from Rasmussen Reports, he splits the vote with GOP candidate Dan Maes; Tancredo gets 25 percent and Maes gets 21 percent. Denver Mayor John Hickenlooper gets 46 percent of the vote and sports an 18.8 point lead in the RCP Average. Ohio -- FoxNews, using Rasmussen Reports' Pulse software, finds John Kasich leading Ted Strickland by a 48-43 margin. Strickland is an incumbent who has consistently failed to get over 45 percent in the polls . . . the fat lady is warming up here. Pennsylvania -- FoxNews/POR-Rasmussen shows the Pennsylvania governor's race tightening substantially. Tom Corbett leads Allegheny County (Pittsburgh) Executive Dan Onorato 50 percent to 40 percent. This race was bound to tighten as Democrats came home for Onorato, but now that he's nailed down the 40 percent of voters who approve of President Obama, things are getting dicey for him. Corbett leads by 12.3 points in the RCP Average. Oregon -- Riley Research finds something no one else has found in recent memory: Former Governor John Kitzhaber leading Chris Dudley. He does so by just a point, and the 40-39 margin has many more undecideds than other polls taken of the race, so it may just be that other pollsters are pushing undecideds harder. As we'd expect, the Democrat is performing well on the coast, in Portland, and in the Willamette Valley, while Republicans are doing better in the east and south. Dudley leads by 1.8 points in the RCP Average. Kentucky '11 -- Not to get too far ahead of ourselves, but PPP also tested the governor's race here for 2011. They find Governor Beshear leading both of his potential GOP candidates, though he is consistently under 50 percent. He leads David Williams 44 to 39 percent, and Phil Moffett 46 to 28 percent.